Many Oklahomans are picking through the ruins of their homes looking for belongings and figuring out how much they've lost. The tornado that struck the Moore, Okla., area Monday afternoon left an almost 2-mile wide path of destruction, flattening homes and businesses and taking at least 24 lives. Survivors now must begin the arduous process of rebuilding their lives, and in many cases, their homes. Unfortunately, that will mean filing insurance claims, trying to recall the value of a lifetime of belongings -- and, in some cases, fighting for what they are owed. Fortunately, people whose homes were damaged or destroyed should be fully covered for the damages, said Robert Hartwig, president of the Insurance Information Institute. Standard homeowner's insurance policies cover the destruction caused by high winds, hail and the rain that enters through damaged roofs and walls, he said. That contrasts with hurricane damage, which requires special insurance for any flood damage and often carries heavy restrictions, including so-called "hurricane deductibles," which require homeowners to pay a percentage of the home's value before the insurance kicks in. Insurers should also be able to respond to tornado victims more quickly, said Hartwig. "After Superstorm Sandy, there were 1.5 million claims," he said. "This storm will involve a few thousand." Yet, homeowners will still have to be on alert for insurers looking to limit their losses, said attorney Mike Doyle of Texas-based firm Doyle Raizner. 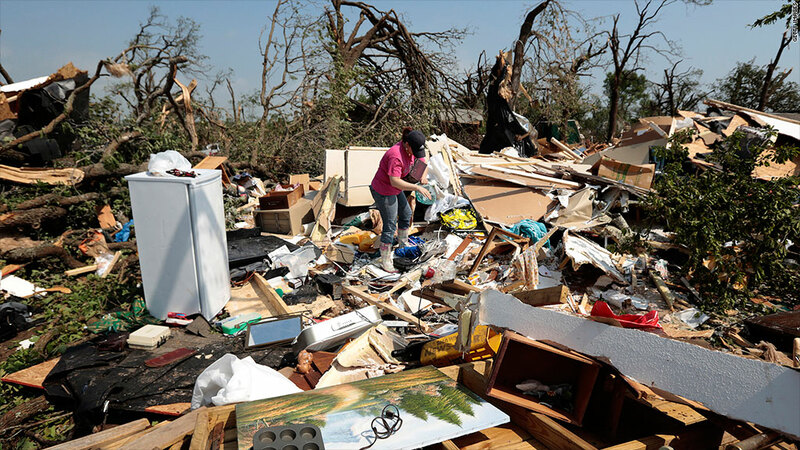 Doyle, who is part of the Renew Joplin Legal Team, represents 15 victims who claim they were ill served by their insurers after the massive Joplin, Mo., tornado in May 2011. That storm killed 161 people, destroyed more than 7,000 homes and caused $2.8 billion in damages, the most expensive tornado in U.S. history. 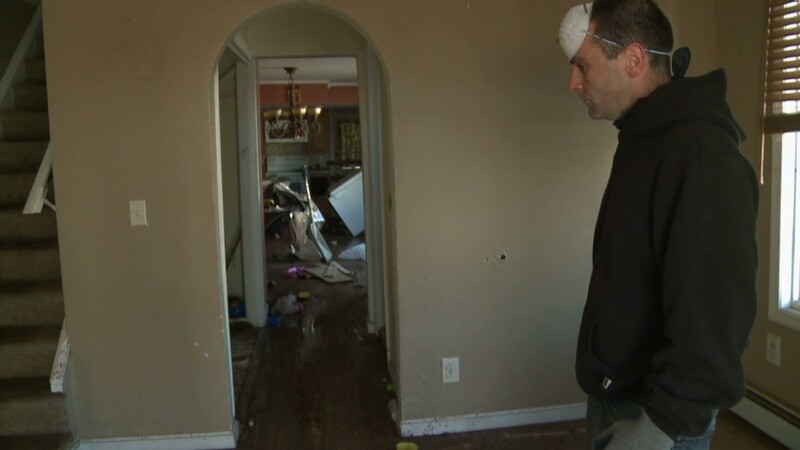 Some insurers may try to lowball damage estimates, then delay making the payments in hopes of getting the homeowner financially desperate enough to accept a settlement that falls short of paying for all repairs, said Doyle. Homeowners should also watch out for obscure clauses in policies that require repairs to be completed within six months, which can be a tough deadline to meet when insurers are dragging their feet, he said. "It's a Catch-22," said Doyle. "They require homeowners to rebuild quickly but they withhold the money homeowners need to get the work started." Doyle stressed that most insurers handle the claims responsibly. Of the 7,000 properties that sustained damage in Joplin, a few hundred claims are in dispute, he said. Gary Esson, an ex-Army officer, was huddled in the basement when the 2011 tornado hit. "I heard the roar, the train sound everyone talks about," he said. The funnel cloud came close enough to damage the roof and siding and blow the house slightly off its foundation The claims adjuster from insurer USAA showed up a couple days later but couldn't find much damage, estimating it at $733, less than his $1,000 deductible. "I got a second opinion, an independent adjuster who put the damage at $27,000 to $30,000," said Esson, speaking from Afghanistan where he works as an independent contractor. "We presented the new figure; the company denied it." USAA has brought the amount to $18,000, according to Patrick Martucci, Esson's attorney. But Esson refuses to settle. He said the damage has increased, and mold is now growing in the house. As of press time, the attorney representing USAA in the claim had not responded to a call for comment. To make sure storm victims get the settlement they deserve, they should document all the damage to the home by taking photos and compiling lists of damaged or missing belongings. They should also keep records of their storm-related expenses like bills from meals, hotels and transportation costs. Roy Winans and his wife, Beverly, lost their home of 20 years in the Joplin tornado and say their experience with the insurance company couldn't have gone more smoothly. "We were cleaning up the lot the next day when a State Farm truck came down the street and stopped," said Winans, who is a retired natural gas worker. The insurer set up a temporary office nearby where Winans and other clients could visit to collect living expenses. After a few weeks, they received a check for their house and soon after that, they bought a new one. Eventually, they pieced together a list of all of the property they lost and submitted it to State Farm, which informed them they had undervalued their belongings and paid them more than they had asked. For the Winans, they were happy to avoid a battle with their insurer over the claim. Recovering from the storm was difficult enough. "It's been a trying two years," Roy Winan said Tuesday, the second anniversary of the Joplin tornado. "It's cloudy today and we've been hearing storm sirens. My niece lives down in Moore, two blocks from where the school was hit [by Monday's tornado]. My whole family has been impacted by these storms."